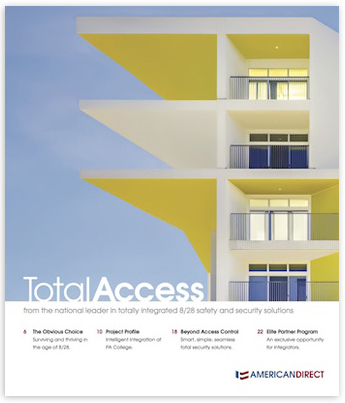 American Direct >> Posts tagged "safety and security"
Byron Whetstone, American Direct President, shares his observations about how the advancements of technology and innovation are forcing companies to change or face the risk of becoming irrelevant. American Direct President, Byron Whetstone, reflects upon the company’s 25 year history and provides insight into the way forward in 2017. American Direct President, Byron Whetstone, calls upon the construction industry to put safety and security at the forefront of every project to better protect the people who will occupy the buildings being built.